I have good news, but also very bad news. has anyone has expirience from maldives??? or leave my spark at greece? Look here for Maldive&apos;s drone rules. 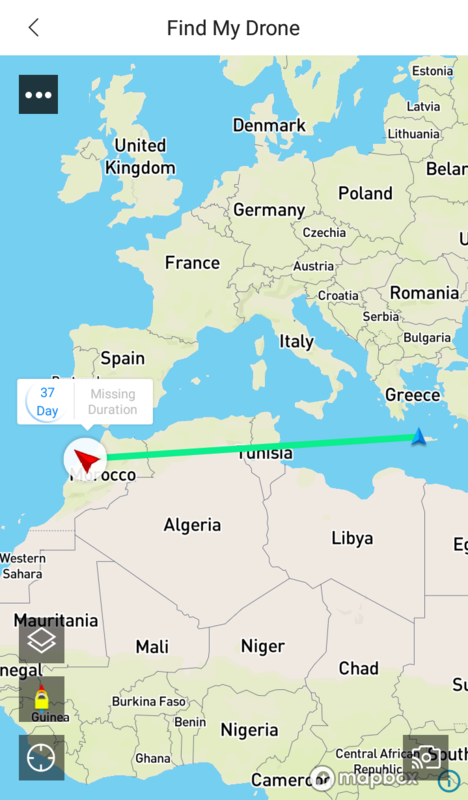 On December 2018 i was to Marocco for holidays but i didn&apos;t know that drones prohibited, the result was to lose my spark....police took it....i contact with the Hellenic embassy at Marocco but unfortunatly my litle spark left at Marroco, so my friend go to Maldives without your spark. yes i will leave my dog and my spark together! here at greece! Hi, we&apos;re sorry to know about the situation. We&apos;re hoping that you could get the best recommendation in regards to this query. Thank you for continued support. Didn&apos;t know dogs are also banned in Maldives.... every day learning something new. Oh, it&apos;s really hard issue to take pets to abroad. It demands all kind of vaccination, passpartisation and other stuff. If one count, it&apos;s simply buy a new dog at final destination rather then bring a firmer one. Good thing you asked first would be bad if you come back without it. they are not banned , but there are so many paperwork to do to take it, and also its a 11 hours trip from greece! its a too big trip for a puppy. i am lucky my cousin has one also so she can keep mine or the days i am away! yes for my luck i asked! thank you all!!!! and i am sorry! we are supossed bought our drones to take some videos and photos from the places we visit, but the law has other opinion about this. Thanks god there is always gopro which is not banned, as the time we speak, but also can&apos;t fly!!!! we are supossed bought our drones to take some videos and photos from the places we visit, but the law has other opinion about this. Hi, thanks for the update. We&apos;re sorry to know that you hadn&apos;t a chance to use the drone while you were on vacation. Hope that you could use your drones for taking amazing photos and videos on your next vacation. You may please always have a safe. Thank you for continued support. its a pitty to have to read in every country the drone laws, but in the other hand, its the amount of money you need to buy an other drone if police take it from you and all the trouble you have to get in in a foreign country, which is difficult to talk to local people and understand everything. The idea when you going for vacation is to relax, enjoy the sea and take some photos to have memmories printed on a paper. As manolism sead we are not spys, but the police dont know us, so the are thinking that we maybe are. Have safe hours of fly and keep smiling! Hi, we&apos;re sorry to know that. We would recommend abiding by those local policies when in terms of flying the drones to have a peaceful flight. Thank you for sharing your concerns here.